The Great Lakes – Superior, Michigan, Huron, Erie and Ontario, and their connecting channels – form the largest surface freshwater system on earth. Michigan is at the heart of that system, surrounded by four of the five Great Lakes. Through research, education and outreach, Michigan Sea Grant is dedicated to the protection and sustainable use of the Great Lakes and coastal resources. 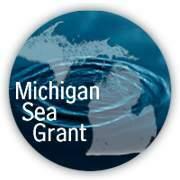 Michigan Sea Grant is a cooperative program of the University of Michigan and Michigan State University.  It is one of 30 Sea Grant programs nationwide, including six programs in the Great Lakes states. Through funding university research and conducting educational programs, Sea Grant helps individuals, local communities, coastal businesses, and state and local agencies to develop Great Lakes and ocean resources and exercise good stewardship in their use. Michigan Sea Grant is funded by the National Sea Grant College Program, a part of the National Oceanic and Atmospheric Administration, U.S. Department of Commerce, and by the State of Michigan, with the cooperation of the U.S. Department of Agriculture through Michigan State University Extension. Click here for more information about the MSU Extension Sea Grant Program. Summer Discovery Cruises offer anyone interested in exploring Lake Erie, the Detroit River and Lake St. Clair the opportunity to get out on the water for an educational experience. Cruisers can learn about many aspects of the lakes, from lighthouses, shipwrecks, bootleggers and history and culture of the region to fish, ecology, restoration and wind, waves and water — and much more, depending on the cruise theme. There are more than 20 cruise themes to choose from. Most cruises range from 2.5 hours to 4 hours on the water and range in price from $15-$30 per person. Ages six and older are welcome on the cruises. First, choose your departure location, check out the cruise descriptions and schedules and then register through the online form.